This information is provided by Yasanti. Please confirm all details direct with them prior to booking. 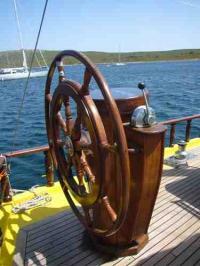 Yachting Limited neither endorses Yasanti nor guarantees the accuracy of this listing. 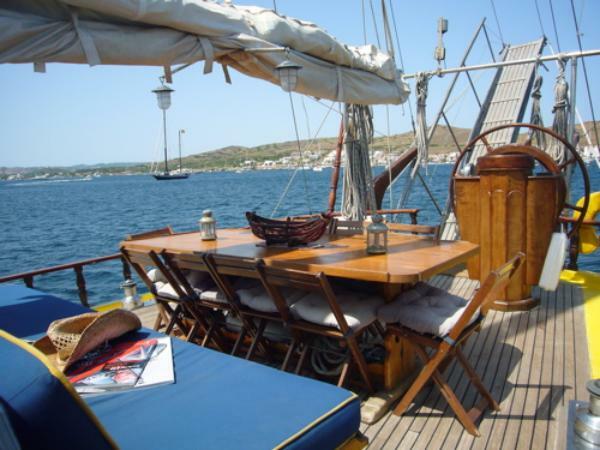 The Yasanti (Turkish for "a way of living") is a traditional Turkish Gulet sailing boat comfortable furnished with classical woodwork interior. 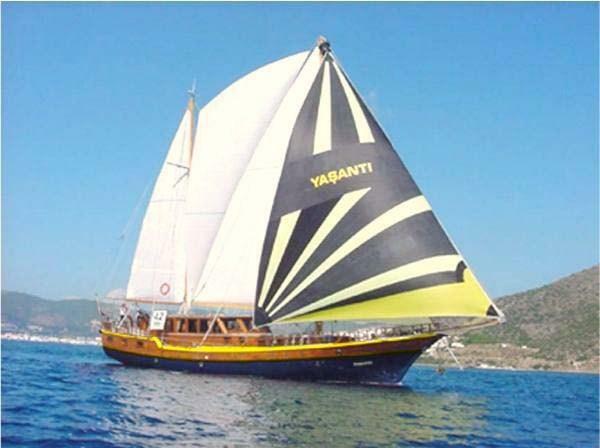 The Yasanti has professional sails, two masts and is especially equipped to use its sails and move through the water by the force of the wind. The Yasanti is moored at the harbour of Barcelona, Marina Port Vell, and sails the Mediterranean sea moving principally Costa Brava, Illes Balears: Minorca, Majorca, Ibiza and Formentera. 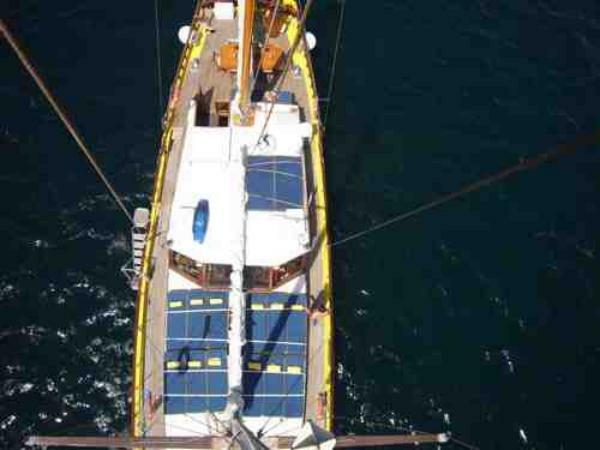 The destinies depend on the amount of days the boat is rented and any suggestions or routes are welcome! 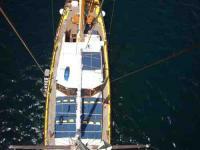 The Yasanti is suitable for parties up to 40 people without sailing and up to 10 people sailing, and has 5 beautiful double guest cabins with shower, toilet and tv. The cabins are spacious and have plenty of storage space. Bed linen and towels are provided. 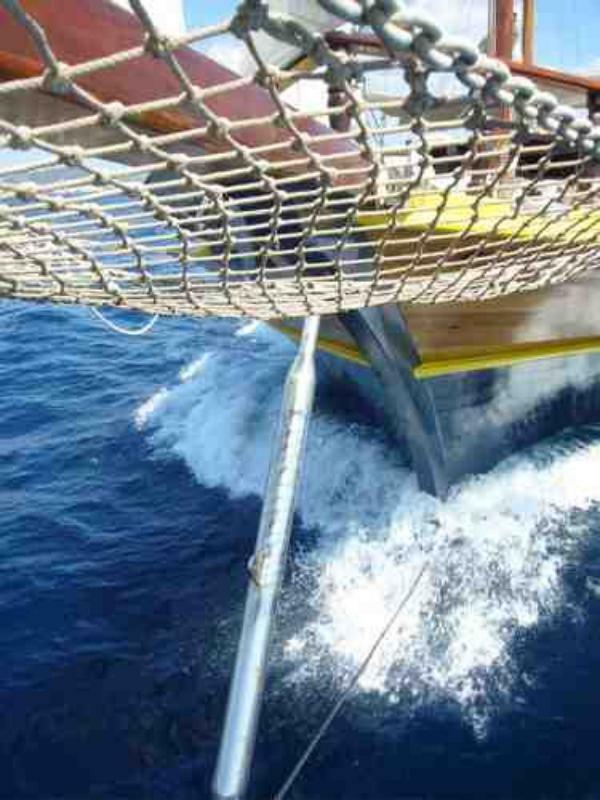 Two meals a day are served on board. Yasanti�s skilled crew (a captain, cook and a sailor) will guarantee that journey will be an unforgettable experience! 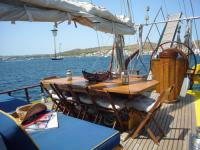 During the summer time you can rent the Yasanti for one week, from Saturday morning until Friday afternoon in IBIZA. In a private crewed cruise for up to 10 guests.
. During the winter also available, with navigation or without it in the Port of Barcelona, for all kinds of events: parties with spectacle and catering, birthday, romantic dinners, business meetings, bed and breakfast. 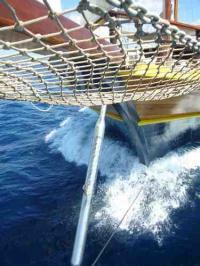 Barcelona from the sea: Mondays, Wednsdays and Fridays , two hours sailing arround Barcelona coast : 50� per person. There are no user reviews for Yasanti yet. Be the first to add a review.